With its carefully crafted balance of salty and sweet plus savory spices that add complex flavor without heat, seasoned salt is the go-to of many a cook. It's ideal when you need more than just salt and pepper to season food before, during or after cooking, but don't want to turn to a recipe. Yet, it's just one of countless seasoning options that offer the same convenience. 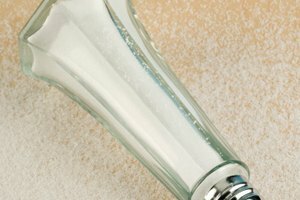 If you're fresh out of seasoned salt, you're seeking more variety in your seasonings, or you'd prefer a healthier alternative that's lower in salt, sugar and additives, it's time to expand your seasoning repertoire. If you can't imagine scrambled eggs, French fries or roasted vegetables without a shake of your favorite store-bought brand of seasoned salt, the best substitute is a homemade version. One of the best-known seasoned salt brands, Lawry's, lists its ingredients as salt, sugar, "spices including paprika and turmeric," onion, garlic, cornstarch and "natural flavors." If you have all the recognizable ingredients in your pantry – including powdered versions of onion and garlic – then you can concoct a very similar version at home. Seasoned salt recipes are easy to find online, most comprising around three parts salt to one part white sugar, a little less of paprika and smaller amounts of turmeric, onion powder, garlic powder and cornstarch. Experiment with the proportions to create your own custom blend, then prepare a large batch to keep in your pantry. Try a spicy version with black pepper or chili powder, or perhaps add some dried herbs. You might reduce the sugar and salt content for health reasons, or skip them altogether, of course expecting the overall flavor to change as a result. 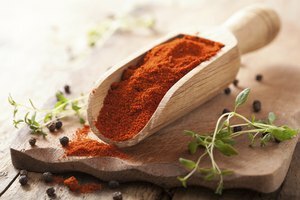 Get out of a seasoned salt rut by investigating the wide world of alternative seasoning blends. The spice section of your supermarket, specialist ethnic grocery stores and the internet are all good sources for pre-made spice blends and inspiration for homemade blends. Homemade versions are often preferable because you can avoid preservatives, reduce the salt and sugar content and customize them to your personal taste. Plus, it takes only minutes to measure out and mix together a variety of herbs, spices and other ingredients. 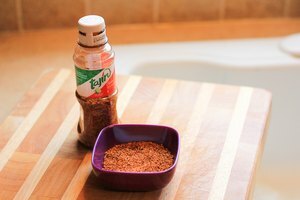 Some popular seasoning blends with a milder flavor include: dry BBQ rubs, which usually feature brown sugar, paprika, mustard powder and other spices; taco seasoning with chili, garlic, cumin, oregano and salt; and Old Bay with fragrant spices like mace, cinnamon, cloves and celery salt, among a long list of components. 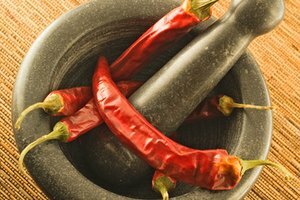 On the hotter side, there's Creole or Cajun seasoning with hints of sage and thyme along with cayenne, onion and garlic; chili powder, blending chilies with paprika, cumin, garlic and oregano; and jerk seasoning, a specialty of Jamaica with fiery chili powders, salt, thyme, cinnamon and allspice. If you're preparing your own seasoning blends, you can adapt any recipe to be lower in salt or salt-free, but there are many commercial herb and spice mixtures that don't feature salt at all. Among them are European herb blends like Italian seasoning and French fines herbes and herbes de Provence. More exotic mixtures include Chinese five spice powder, an aromatic blend of Sichuan peppercorns, star anise, cloves, fennel seeds and cinnamon; and the Moroccan blend ras el hanout, which can feature as many as 10 spices, commonly peppercorns, cinnamon, coriander, cumin, paprika, nutmeg and cardamom. Indian curry powders, which vary in components and heat but usually feature turmeric, coriander, cumin, chili and fenugreek, and garam masala, a warming mixture including cardamon and cinnamon, generally omit salt as well. 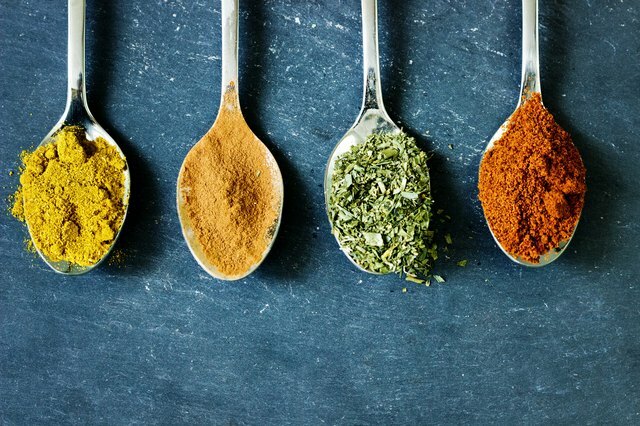 Think beyond typical international dishes when using these seasonings – try curry powder on roast potato wedges, Chinese five spice on chicken wings or ras el hanout rubbed onto salmon. Some seasoning mixtures contain seeds or nuts as well as herbs and spices, making them complex in flavor and nutritional profile while adding a little bite. There's everything bagel seasoning, a distinctive mixture of poppy and sesame seeds with minced dried onion and garlic, plus flaky sea salt. Sprinkle it on cream cheese-topped toast for the morning bagel effect, or on eggs, a baked sweet potato or side of steamed rice. The Egyptian seasoning dukkah includes toasted sesame seeds, hazelnuts or pistachios, coriander and cumin. It's delightful mingled with olive oil as a dip for flat breads. The somewhat similar Lebanese blend za'atar features thyme, sesame seeds and sumac. Sprinkle it over a salad, a bowl of soup or roasted cauliflower. The Japanese spice and nut blend togarashi includes sesame seeds, dried citrus peel, seven spices and seaweed for a distinctive and complex flavor. Rub it over chicken thighs before roasting them, or into baby back ribs after grilling.